Even with the advancement of technology, there are incidents where you might have accidentally deleted a conversation on your iPhone that has important details. 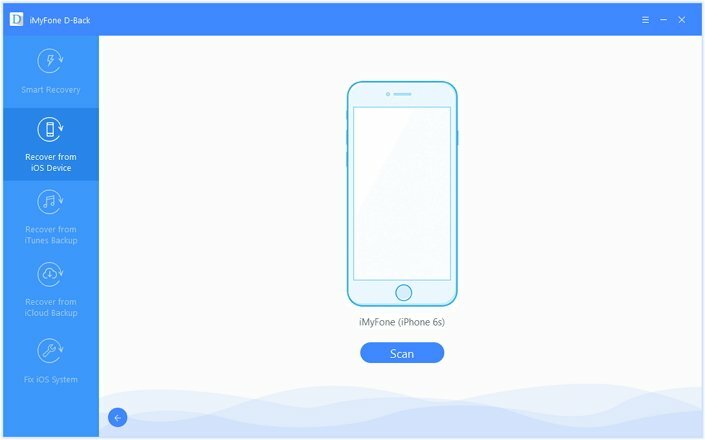 Although you have recovery tools to do the job, here i want to introduce A professional iPhone data recovery tool: iMyfone D-Back. iMyfone D-Back iPhone data recovery Win or iPhone data recovery Mac specializes as a recovery tool for iOS operating system. 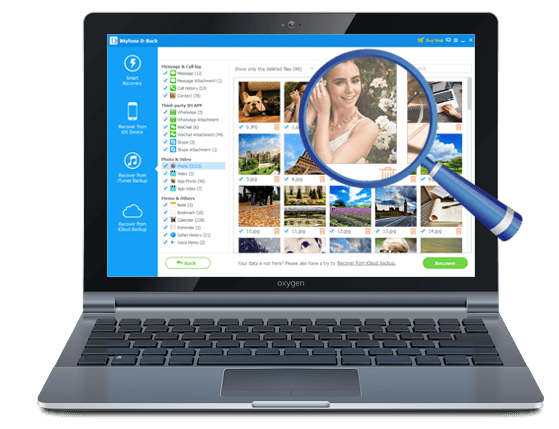 The software is capable of recovering deleted data from any device without backup or from backup with ease. The main advantage of the program is its ability to identify any file and make it available for retrieval. The following are the features embedded into the program that makes the package as number one and ahead of other recovery tools. 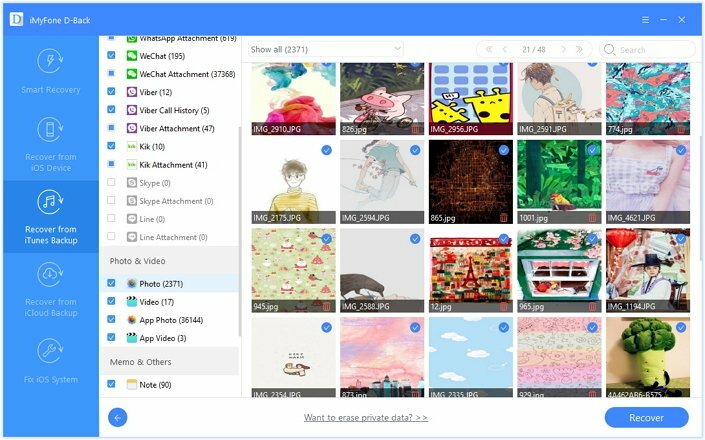 Assists in recovering any file from a device due its ability in recognizing over 22 different data formats. Recovers content with the help of four different recovery modes: Recover from iOS device, recover from iTunes/iCloud backup and Smart recovery. Step 2: Upon pressing the “Start” button, you will see a new screen, where you need to mark “Skype” to recover the conversations. Once done, you have to establish a connection between the device and computer. Step 3: You can proceed to scan the device after the program detects the gadget by simply pressing the “Scan” button. Step 4: It will display all the conversations that are recoverable in the preview window. You can pick those that are important and begin the retrieval procedure by clicking the “Recover” button. Step 5: After completion, the program will ask you to choose a folder to save the conversation files. Navigate to the location and allow the program to begin saving the recovered data. Step 1: In the primary screen of the software, click “Recover from iTunes Backup” option. Step 2: Pressing the “Start” button will open the file selection window, where you have to tick mark “Skype” to retrieve the deleted conversations. Step 3: Click the “Next” button to see the available backup files. 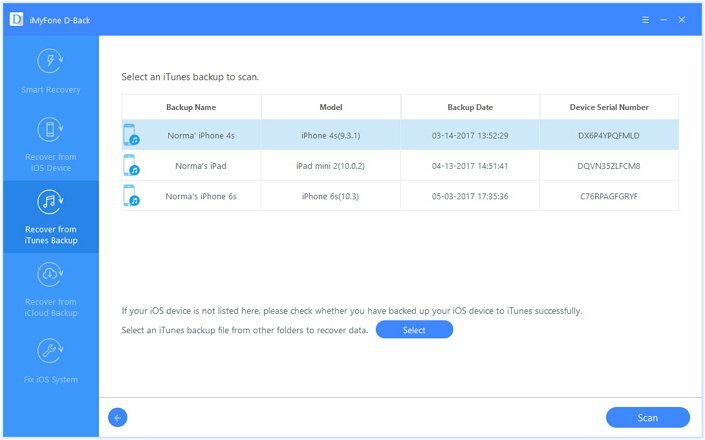 From them, choose a backup file from which you want to recover and press the “Scan” to begin scanning. Step 4: Once scanning is complete, you will see the preview of recoverable conversations. 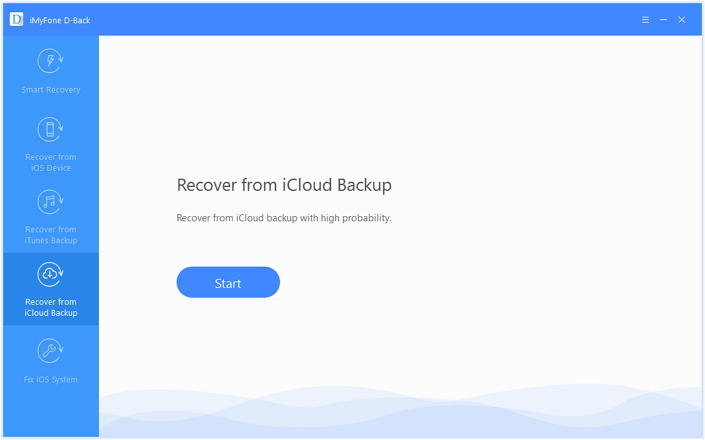 Select those, which are valuable and click the “Recover” button. Step 5: The software will download the selected files and prompt a message to choose a location to save them. Browse to a folder and wait for the program to complete the saving process. 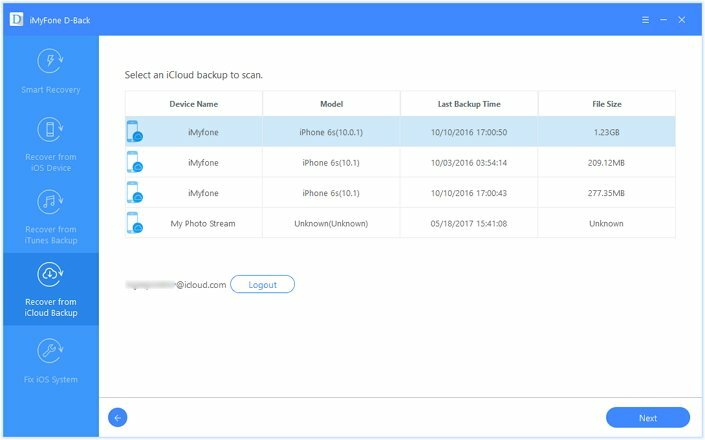 Step 1: Launch iMyfone D-Back application and tap “Recover from iCloud Backup” from the main window. Step 2: Press the “Start” button and from next screen mark “Skype” as the recoverable file. 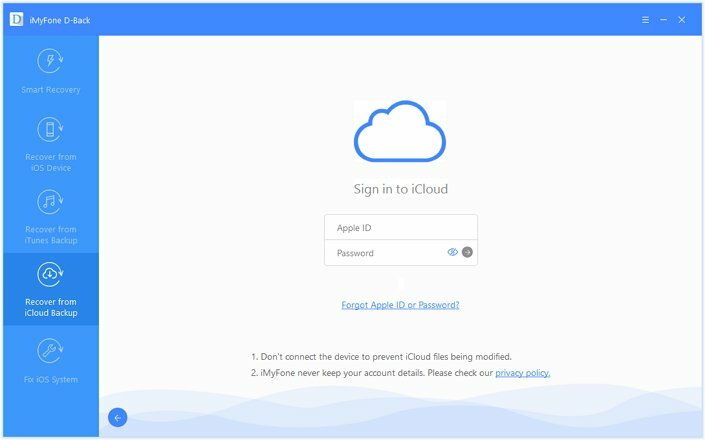 Step 3: Enter your iCloud details in the next screen, which will appear after you press the “Next” button. The program never remembers the login details or content. Step 4: The application will show present backup files. Pick the recent backup file and press “Next” to begin the download. Step 5: From the preview window, pick that are important and click “Recover” button. Step 6: Choose the place to save the data and wait until the process is complete. 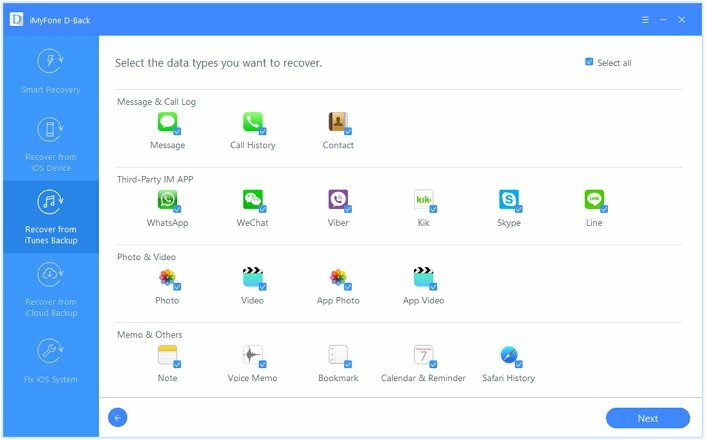 With simple steps as explained above, using iMyfone D-Back iPhone data recovery Win or iPhone data recovery Mac is the best choice to get back your deleted conversations from Skype. Grab your trial copy to test it today! Can this tool recover the pictures attached in the Skype conversations? 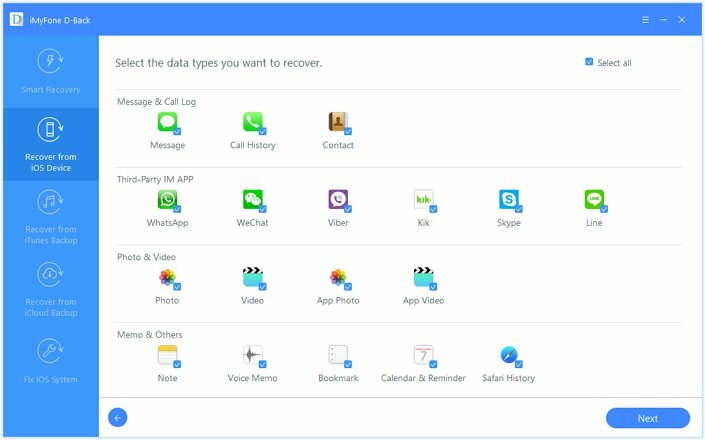 iMyfone D-Back can also recover pictures in Skype conversations. 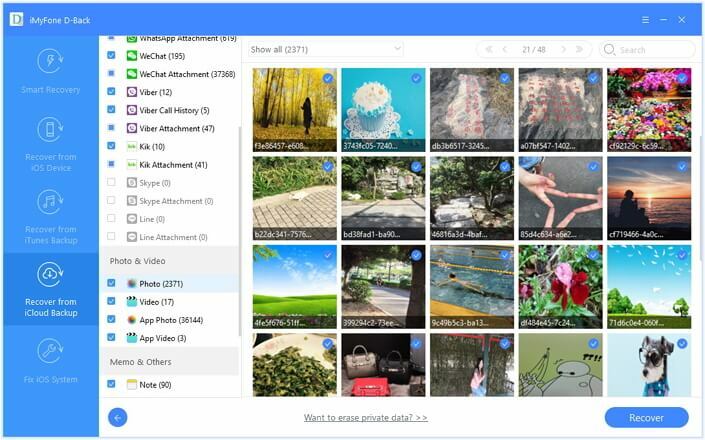 You can choose App Photo when you choose the file types you need to recover.